Optimize the Work of Your Photo Studio with ID Photo Templates! Seeking new ways to optimize your photography business and increase your profits? Working in a multicultural community, you always need to check out the latest photo requirements of different countries to make sure your clients got what they came for. 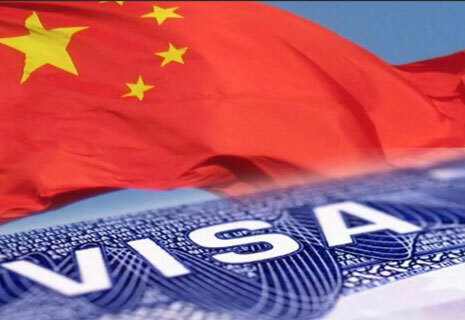 If searching through the official websites of governments and embassies is too tiresome, you should think about using an automatic passport size photo maker. 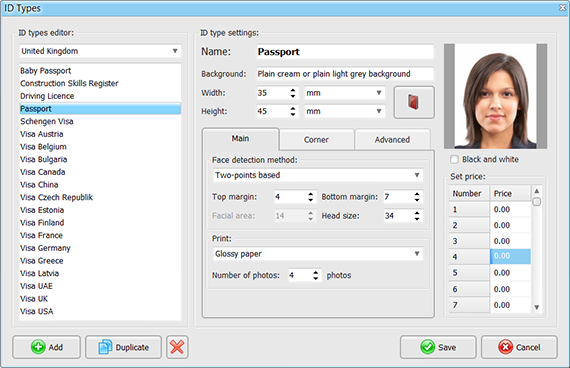 Passport Photo Maker is the ultimate tool for preparing a professional ID photo in a few minutes. 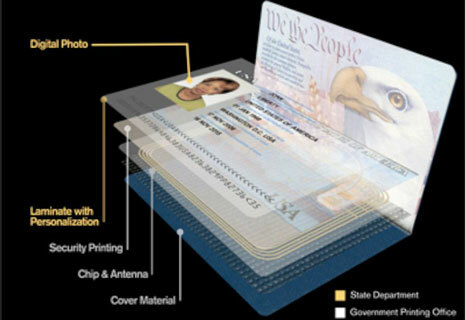 Thanks to powerful image processing technologies and a built-in gallery of ID templates like a passport template, American visa photo template or driving license template, you won't need any other software to edit the client's photo and print it in the desired format. Read this guide till the end and learn how to improve your photography business using this ID photo maker. 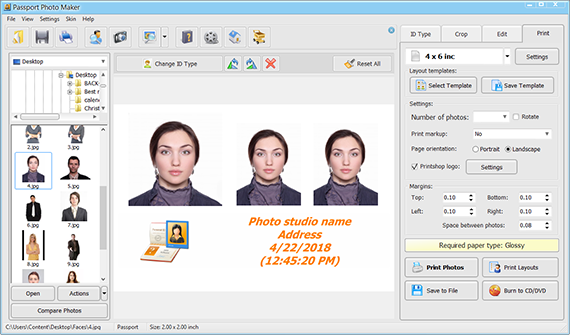 Download passport photo software and start it on your work computer. 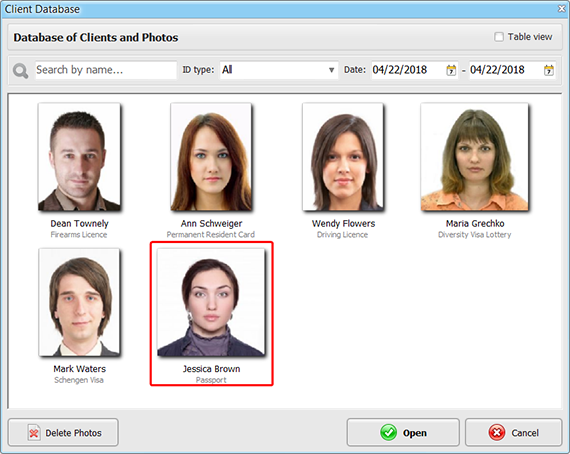 The program comes with 50+ built-in templates for ID photos of any kind. After you've launched the program choose a suitable template on the ID type tab. 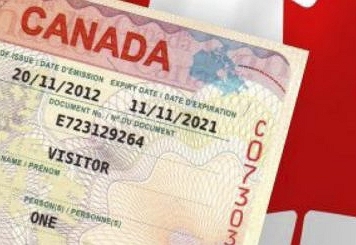 There you'll find ready-to-use passport picture templates for USA, UK, Canada, France, Germany, and many other countries. 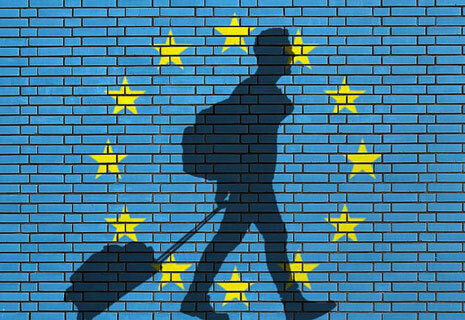 The list of ID templates also includes a Schengen visa template, driving license, firearms license, student's card, and more photo formats for other documents. Once you've chosen the desired photo template you can see that the program adjusts all the necessary settings. For example, your client needs a photo for their US passport. You simply add the unprocessed photo to the working area, pick a 2x2 picture template and the software crops it by setting the needed width, height and margins. Thanks to the face recognition technologies used by the program , you can easily make perfect photos for biometric documents. When you’ve got the ID photo of the desired size you can further touch it up using lots of built-in editing tools. Working with a 2x2 picture template for the US passport you know that it must have plain white background and the client’s face must be clearly seen without any shadows. Move to the Edit tab where you can easily lighten or darken the chosen picture areas, increase the overall contrast or replace the background. After you’ve chosen the desired ID photo templates and edit the image switch to the Print tab. There you can set the paper size, its orientation and the number of photos to fit onto the sheet of paper. Use ready-made layout templates or save your own for printing any number of photos and combining different ID types on a single page. As the final touch, add the logo of your photo studio to increase the brand recognition and spread the word about the services you provide. Calibrate the monitor to make the printed photos look the way they are intended in terms of brightness, contrast and color. Replace clothes in the photo choosing from the built-in gallery of clothes or uploading your own files from Photoshop. Manage the prices for the services you provide, including saving the print layout or burning the photos to a disk. Keep the client database to restore any photo and improve your customer service. Control the completed orders with the Order Statistics tool. Check the work of your employees with the Activity Log. If your client needs a digital photo for online application rather than a printed one, you can easily save the properly edited photo to any storage media. 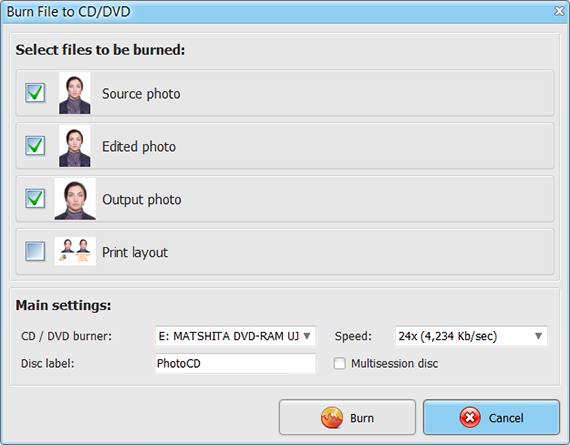 For example, you can burn the ID photo to DVD or add it to the client’s memory stick. All the information on the order will be still saved into the Statistics module. 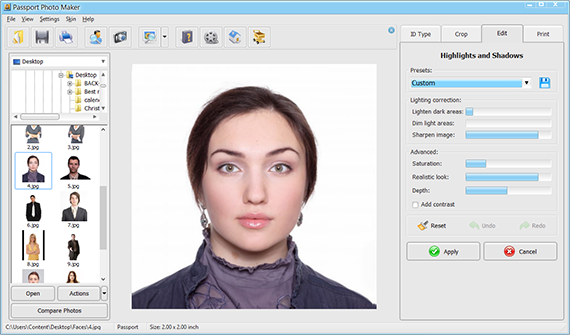 Get started with Passport Photo Maker software and increase the efficiency of your photography business - use ready-made ID photo templates instead of looking for official photo requirements in the Internet, edit photos right in the program without any additional image editors, use the smart print tool and save digital ID photos for online applications.